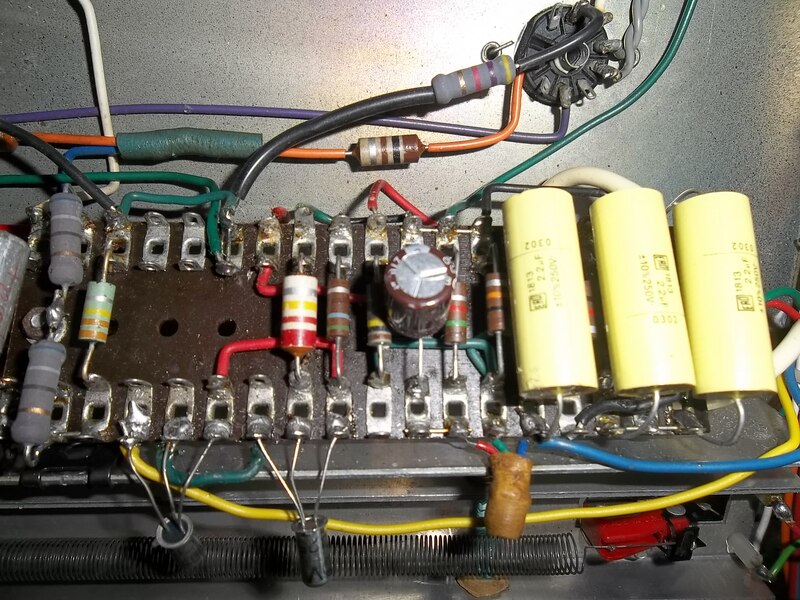 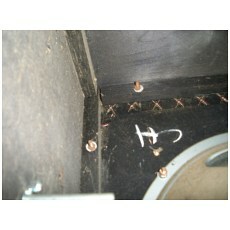 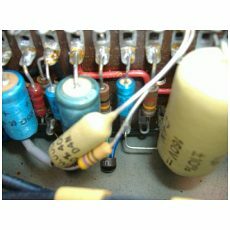 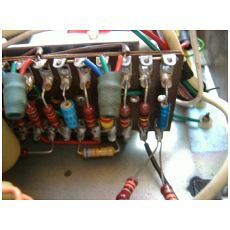 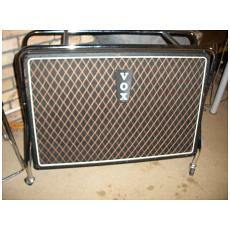 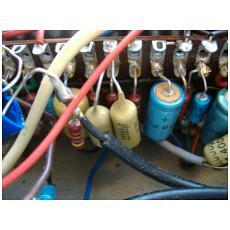 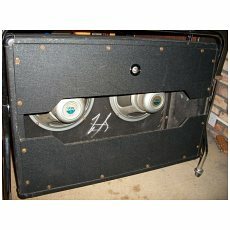 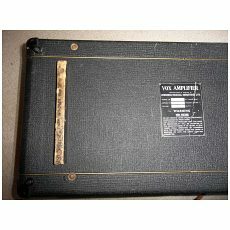 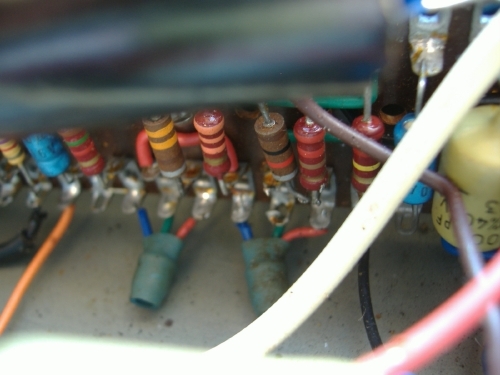 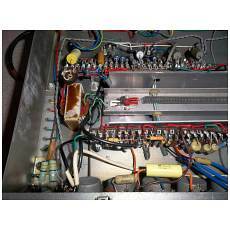 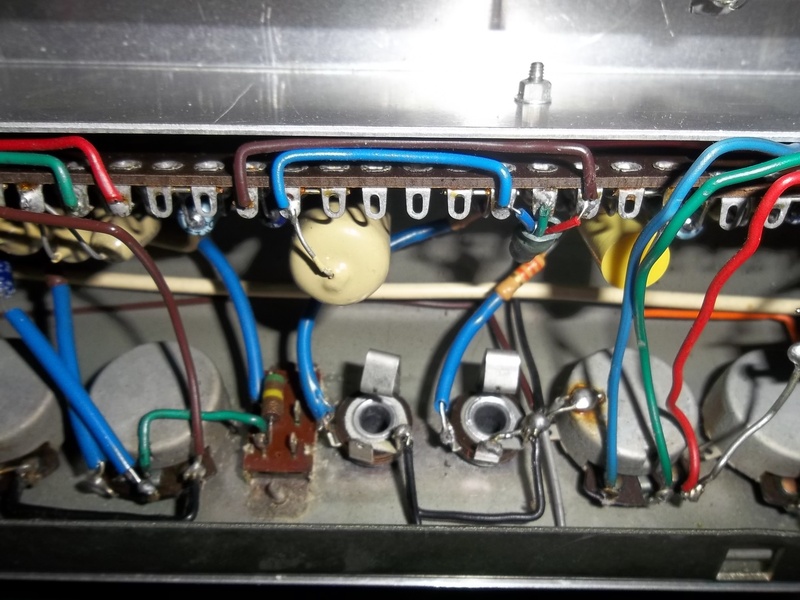 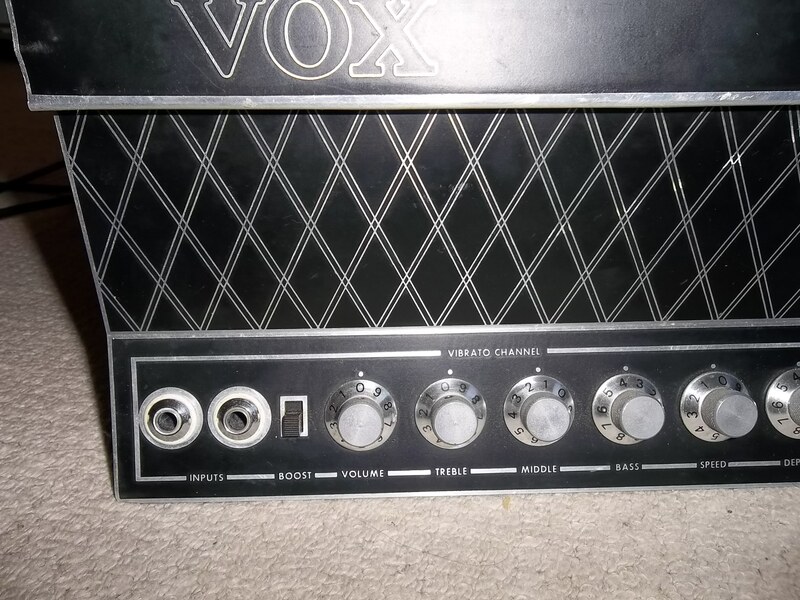 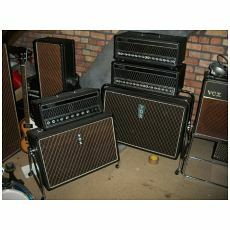 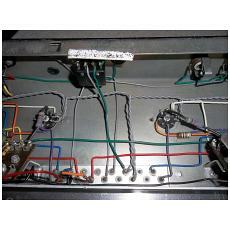 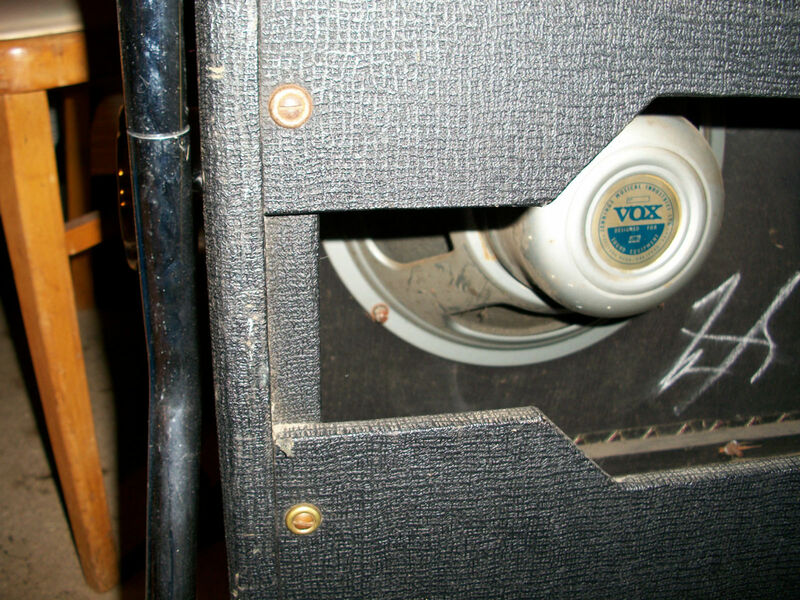 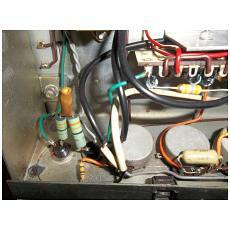 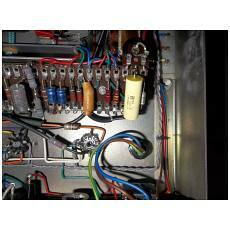 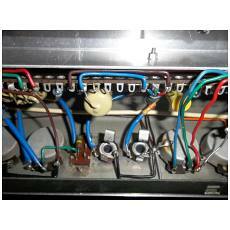 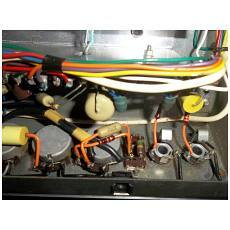 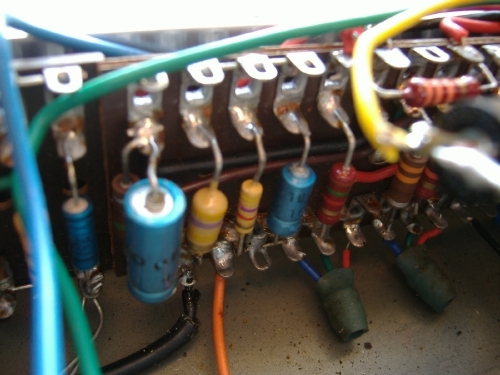 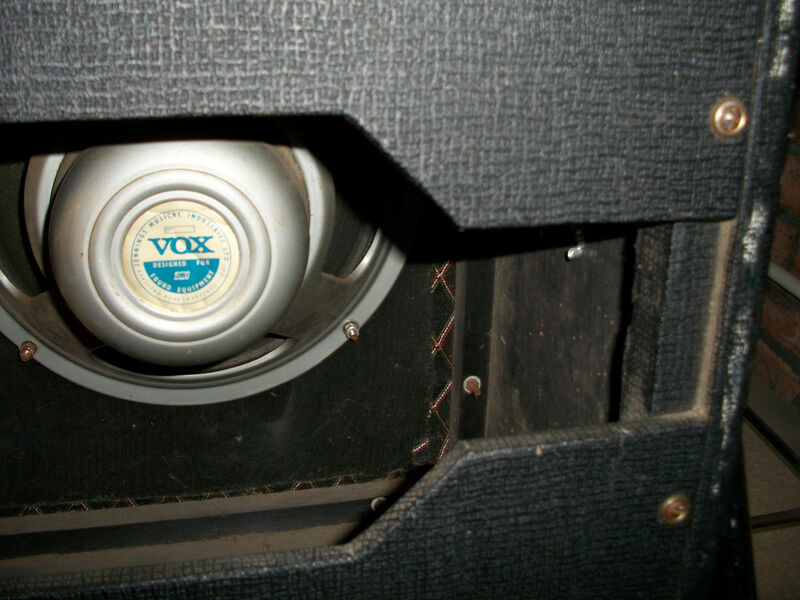 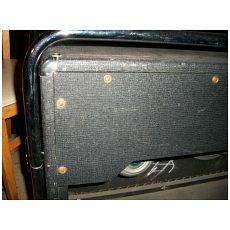 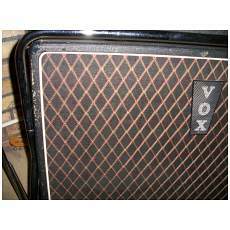 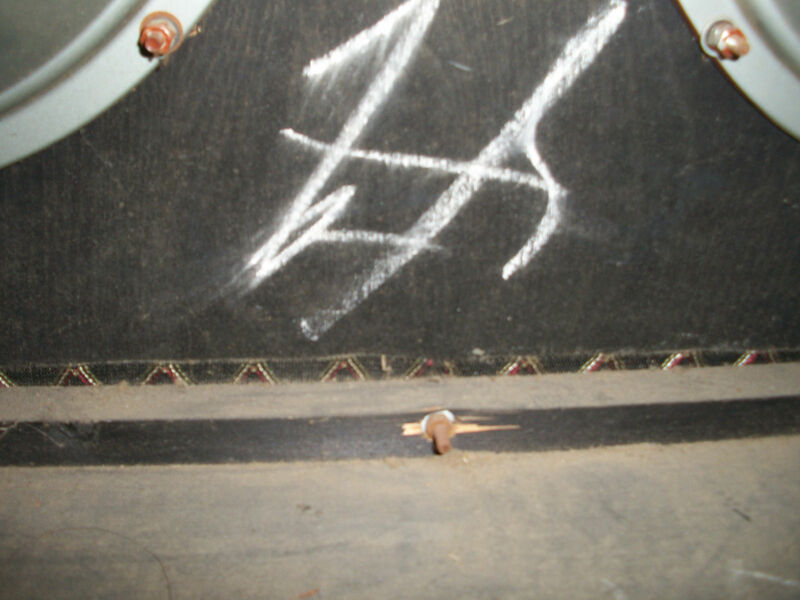 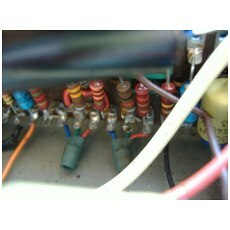 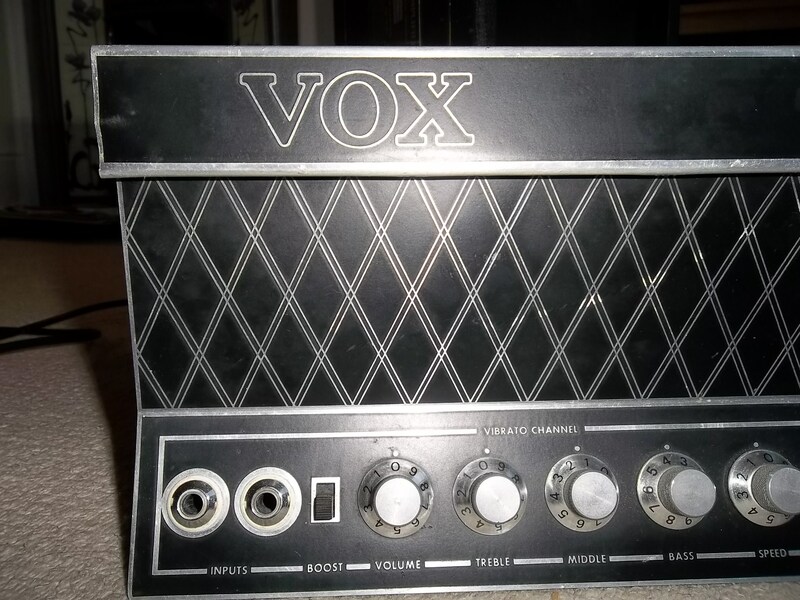 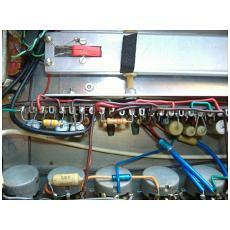 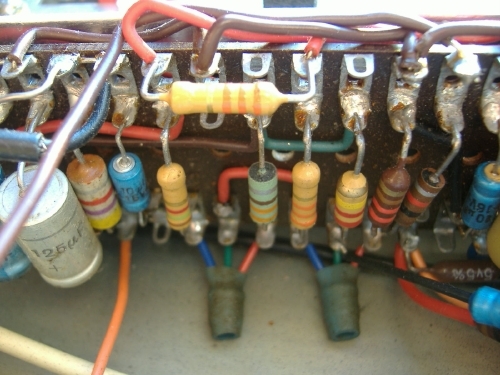 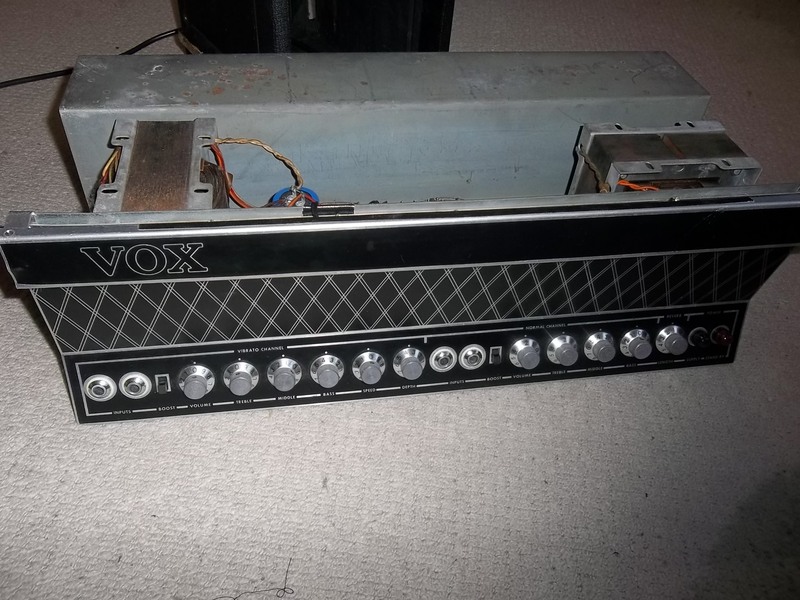 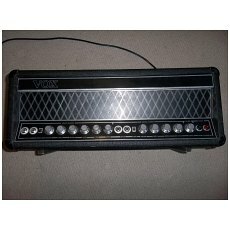 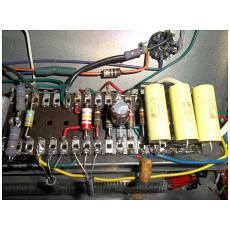 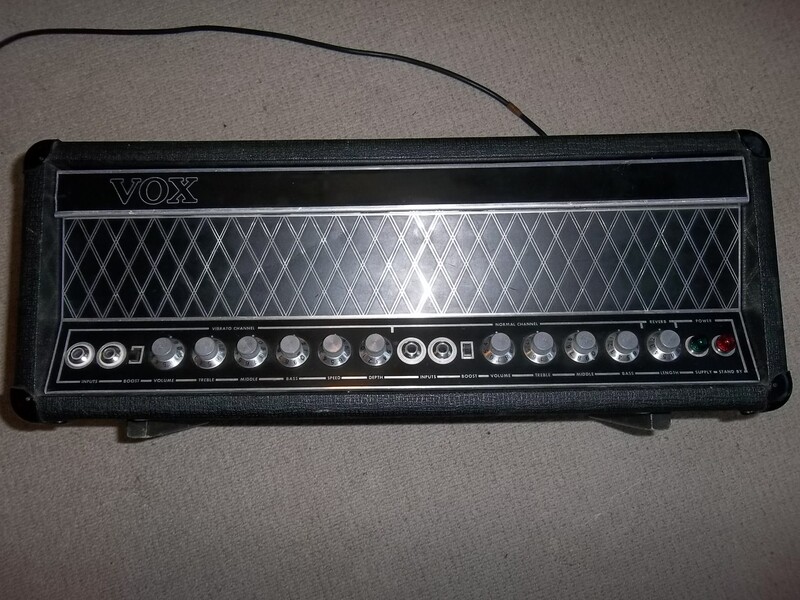 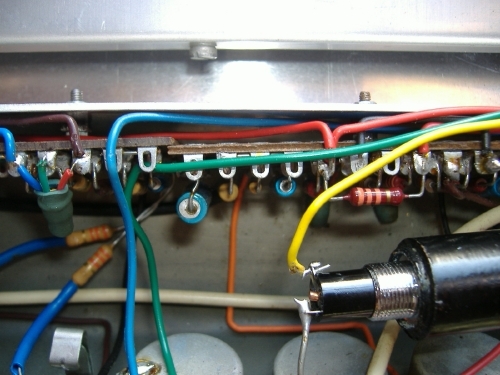 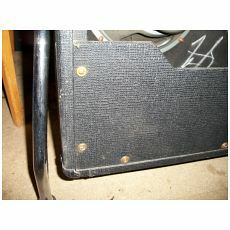 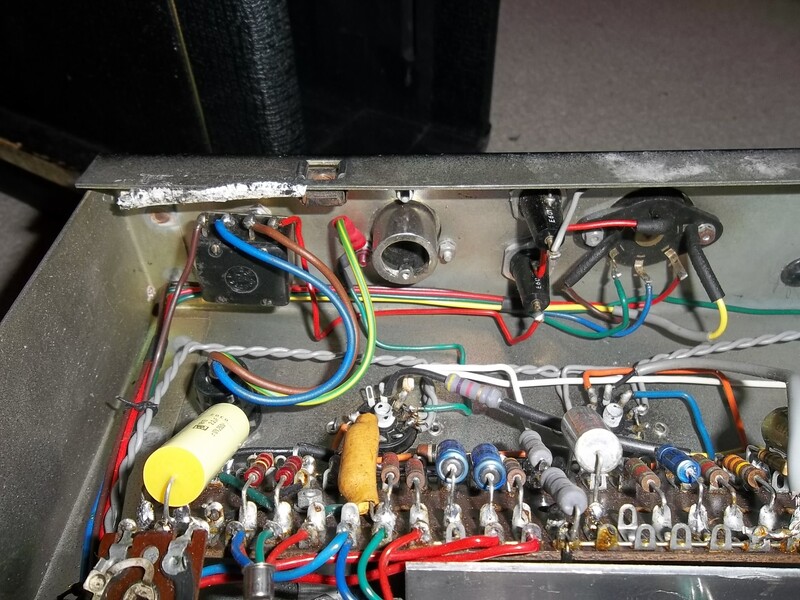 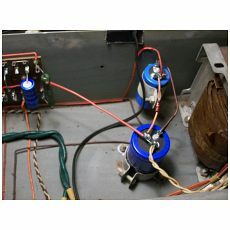 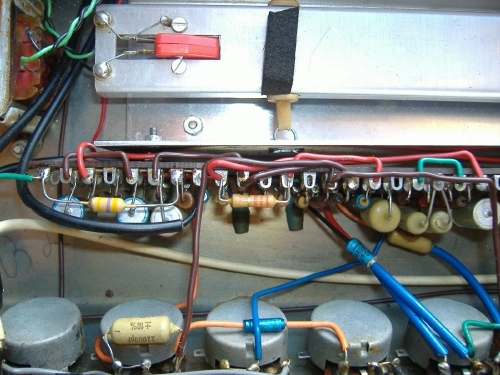 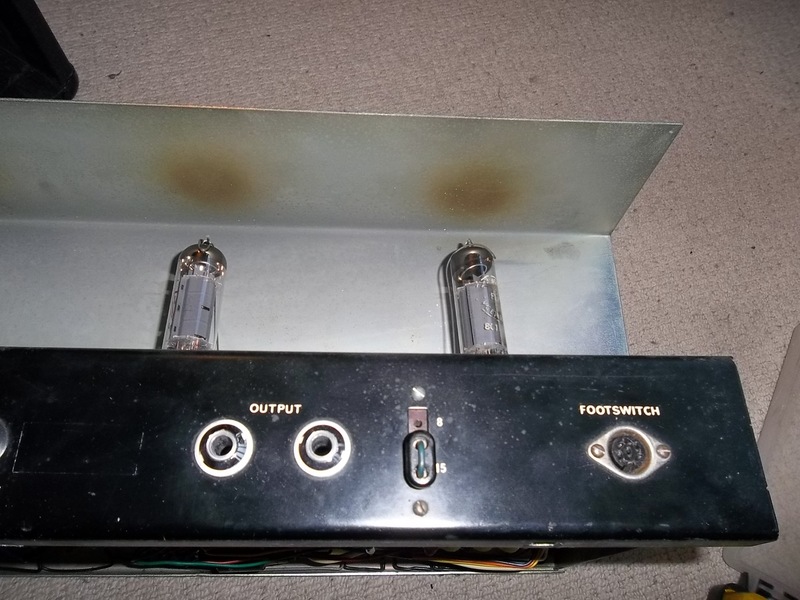 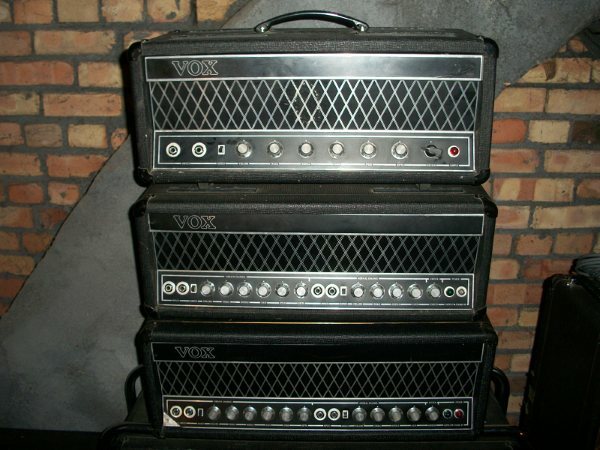 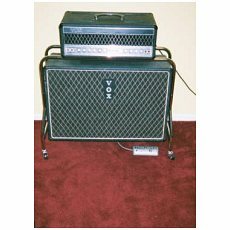 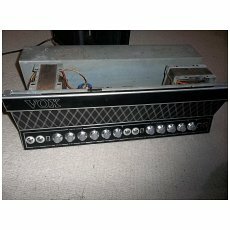 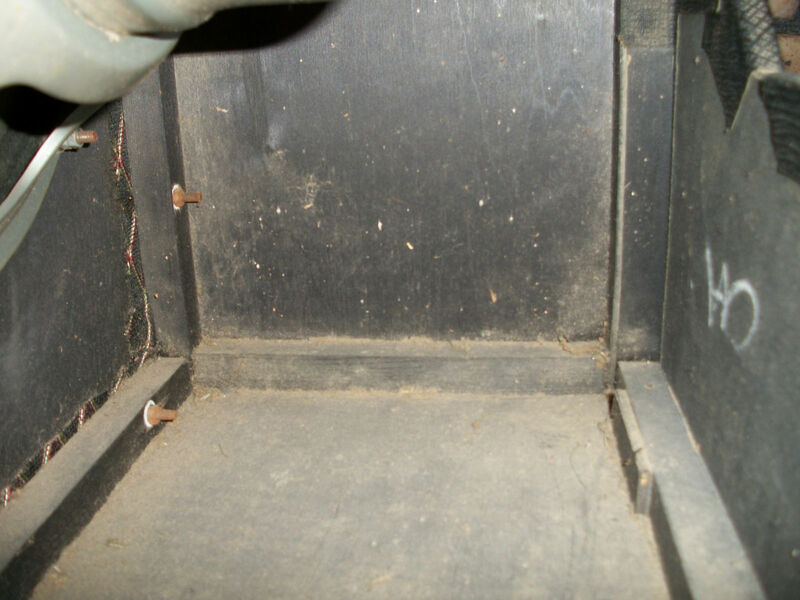 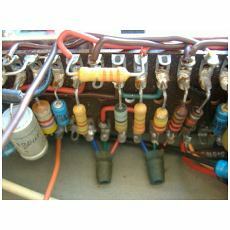 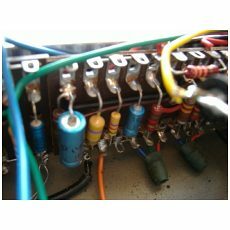 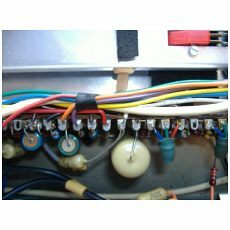 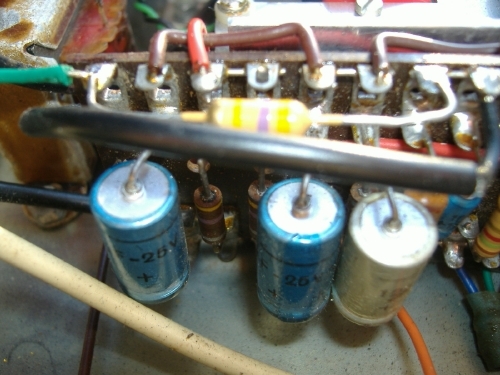 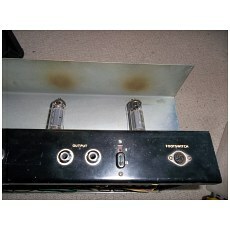 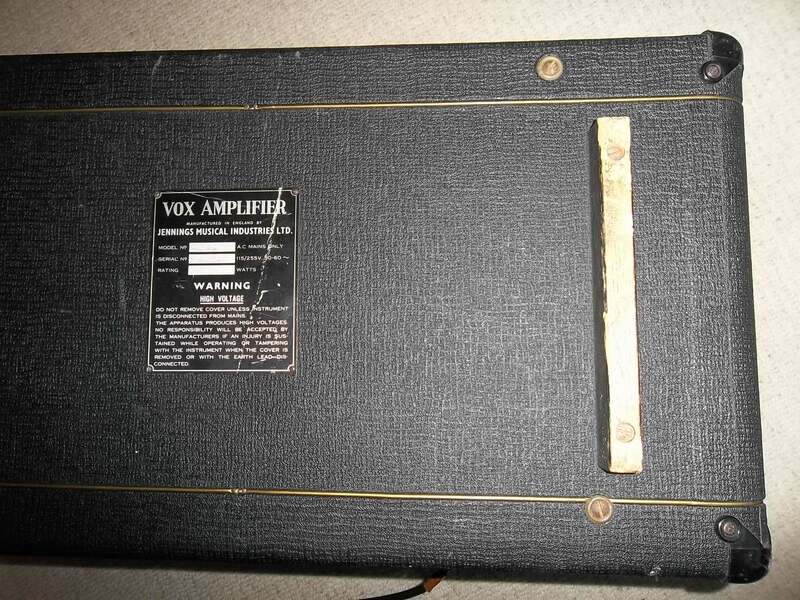 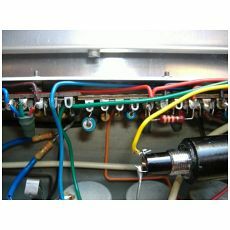 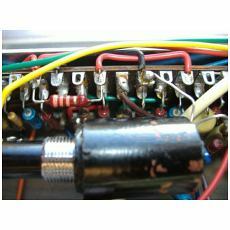 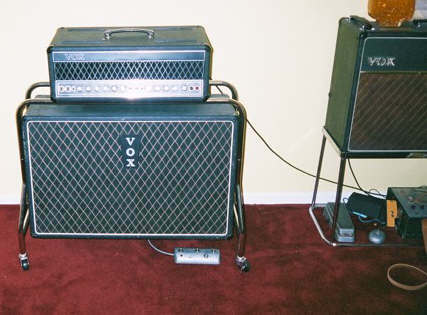 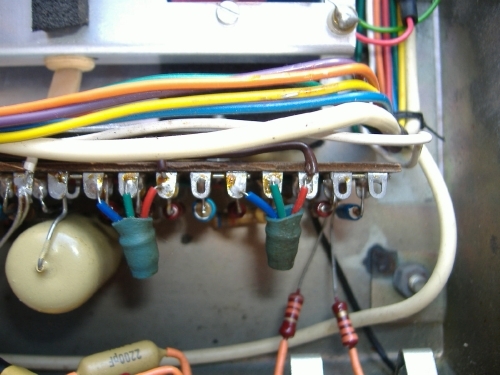 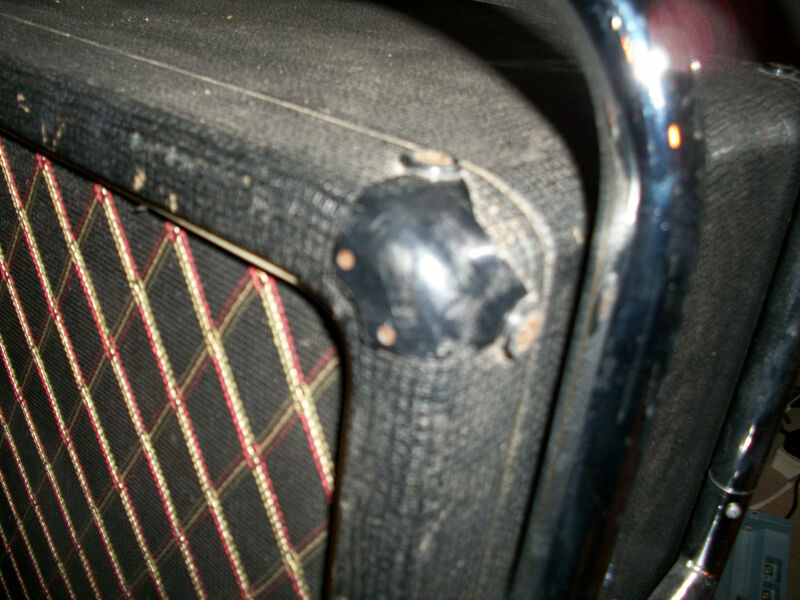 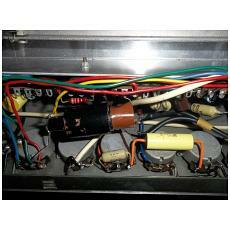 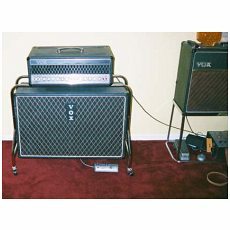 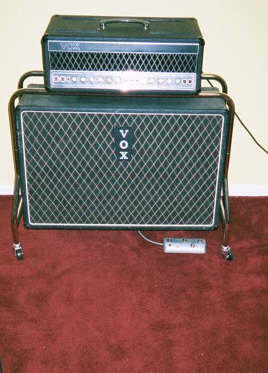 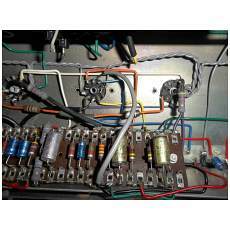 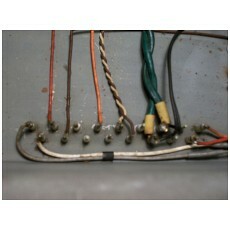 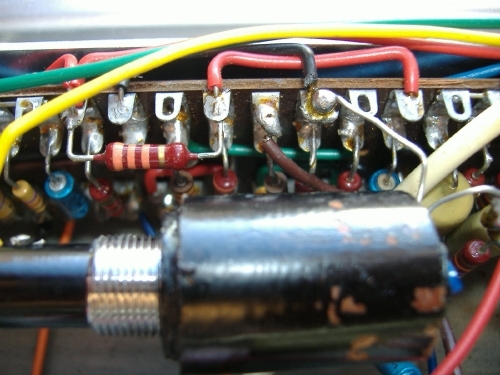 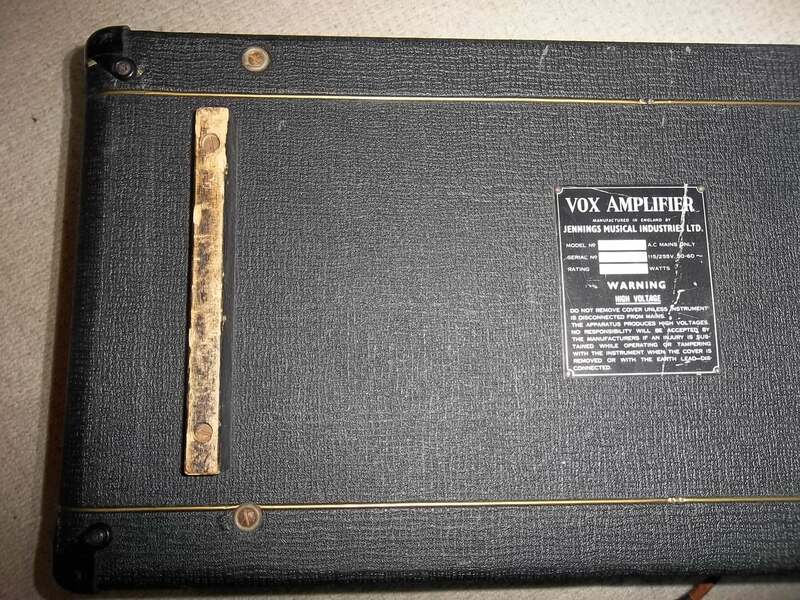 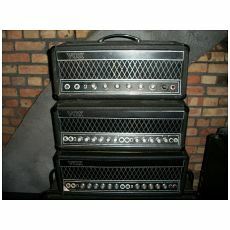 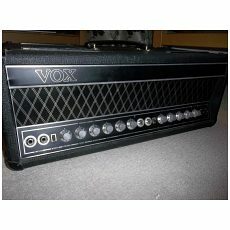 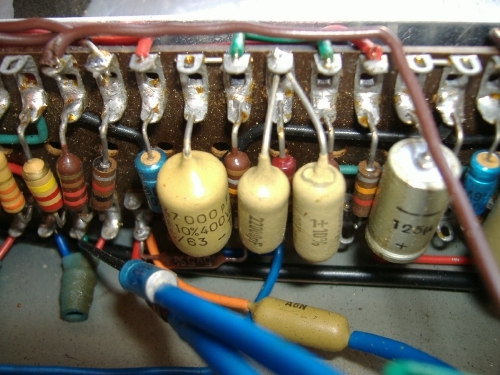 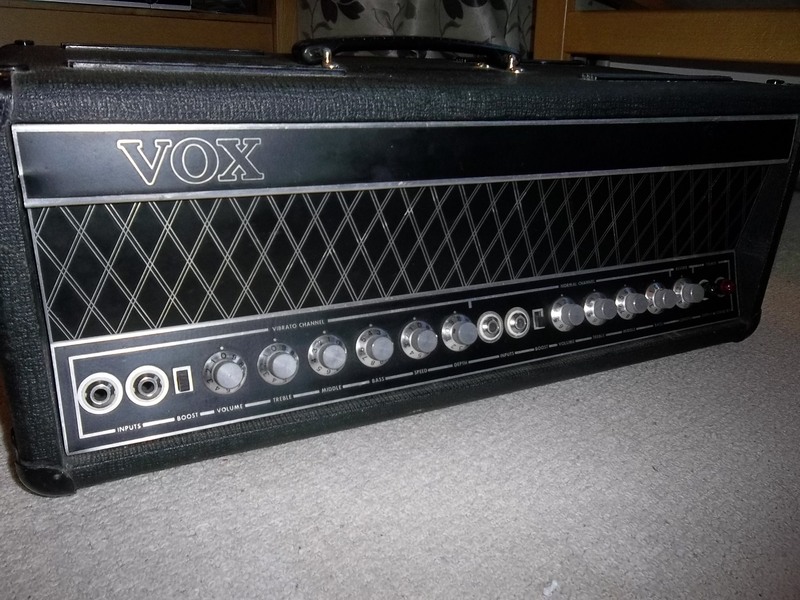 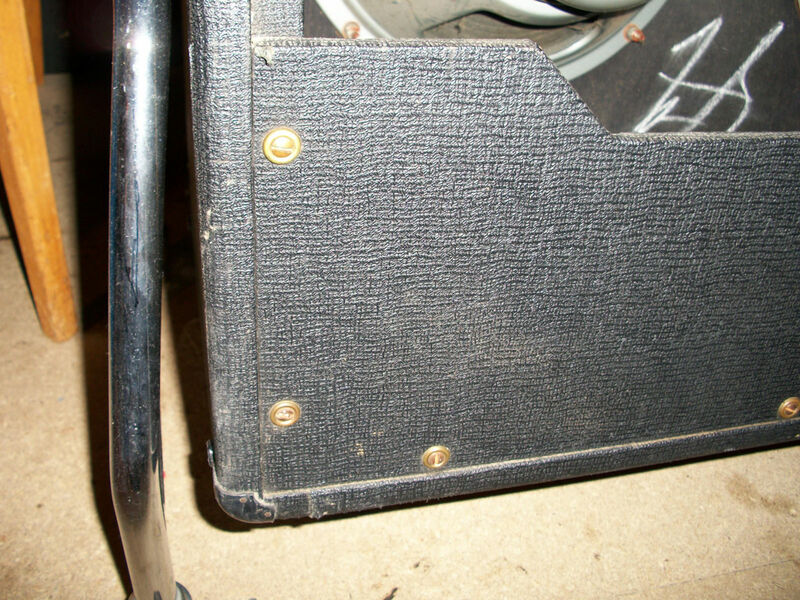 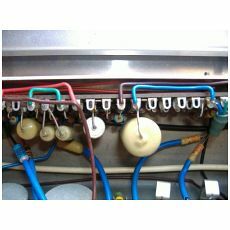 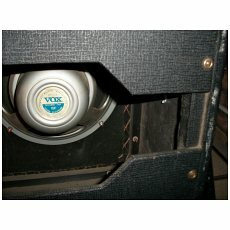 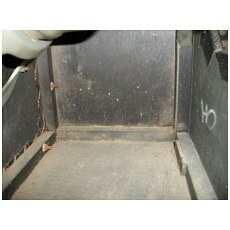 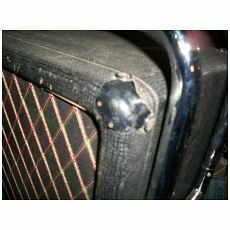 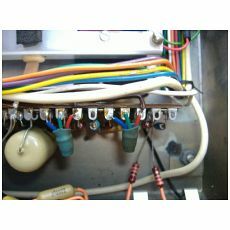 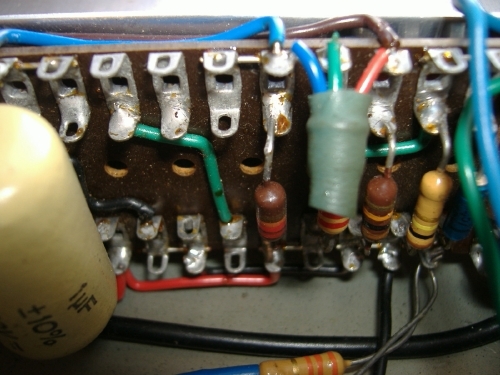 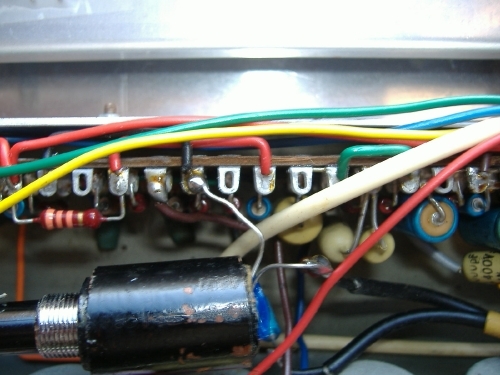 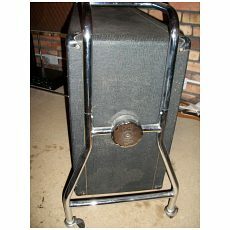 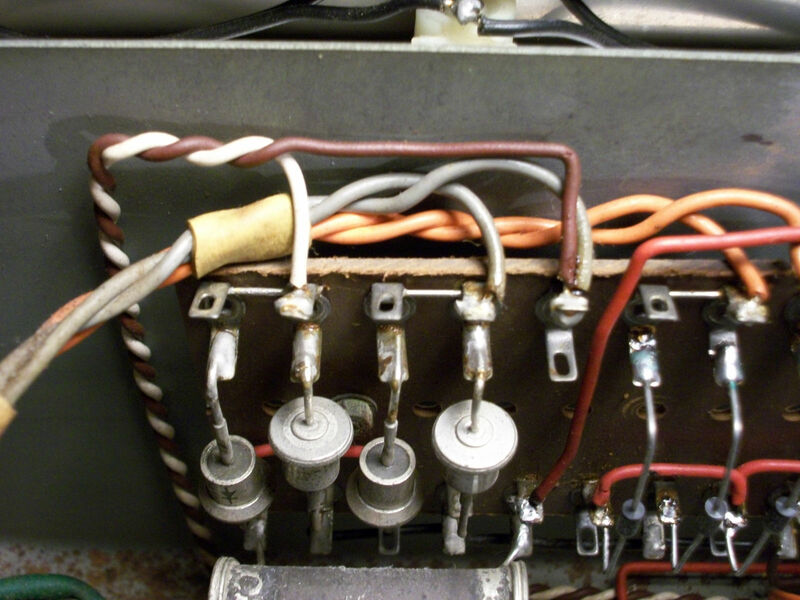 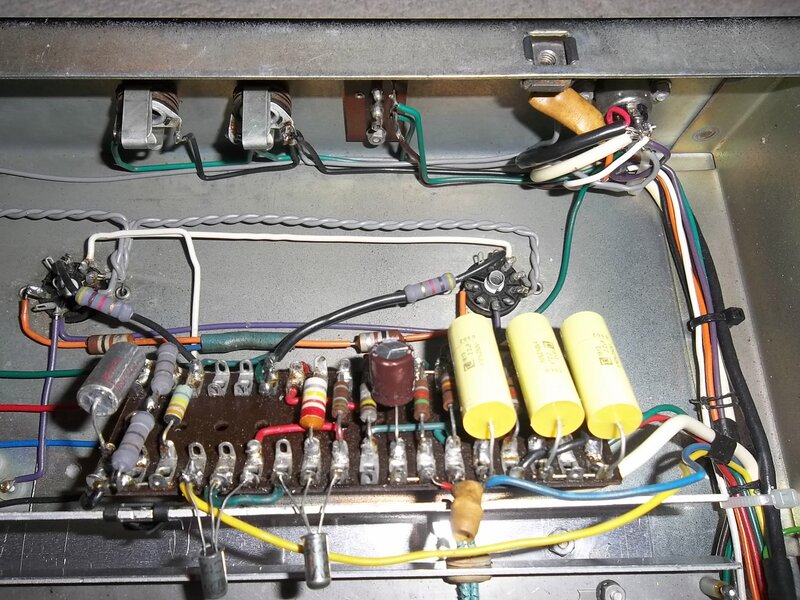 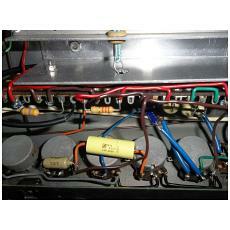 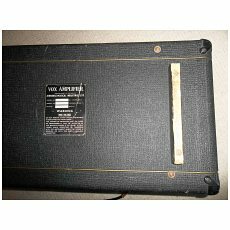 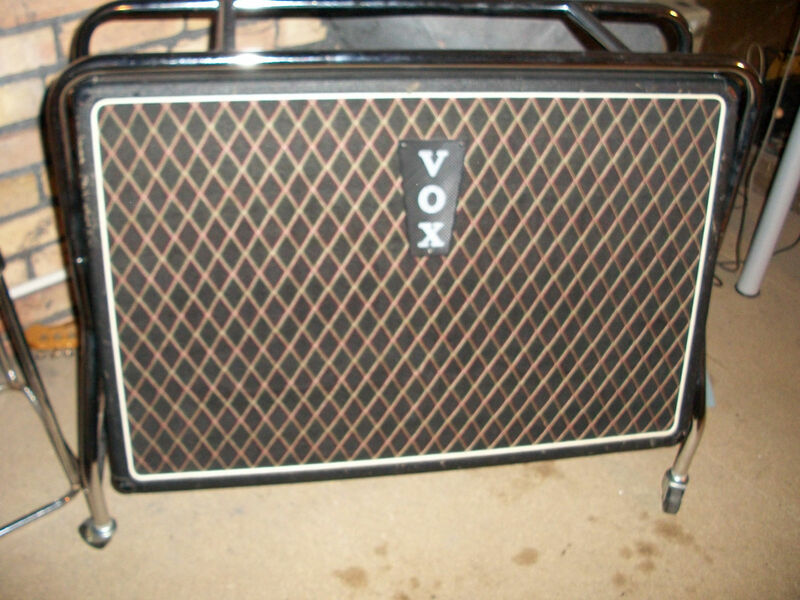 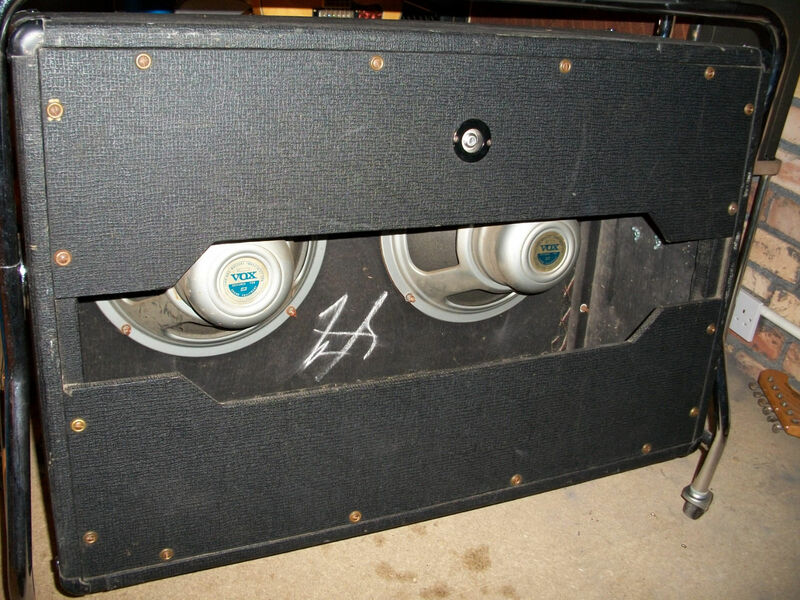 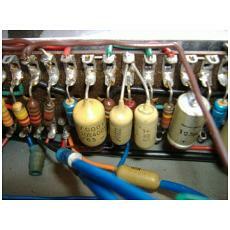 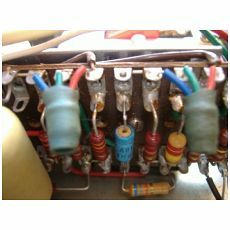 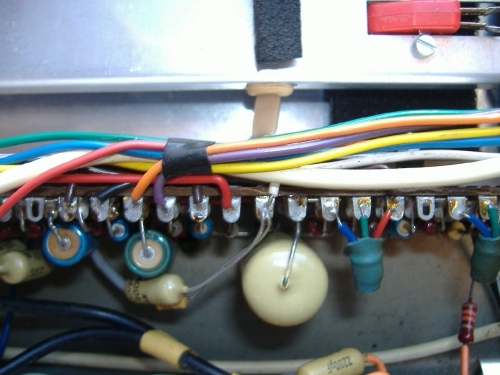 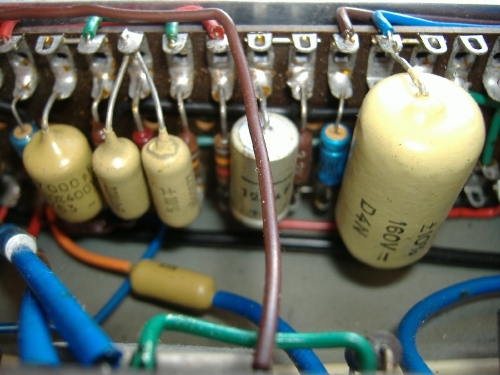 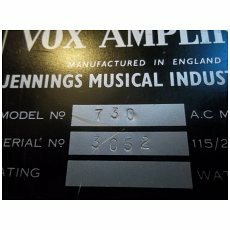 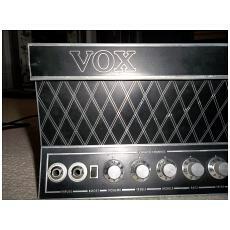 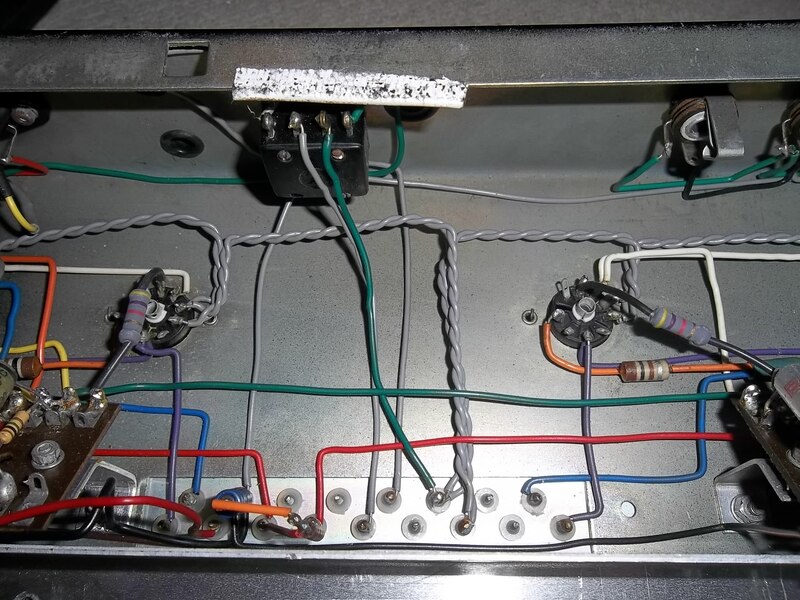 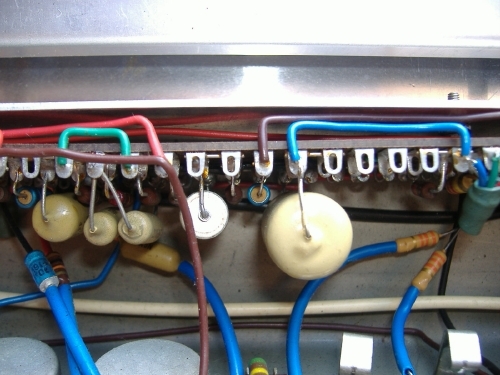 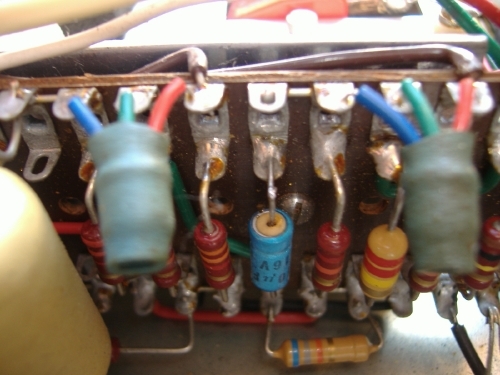 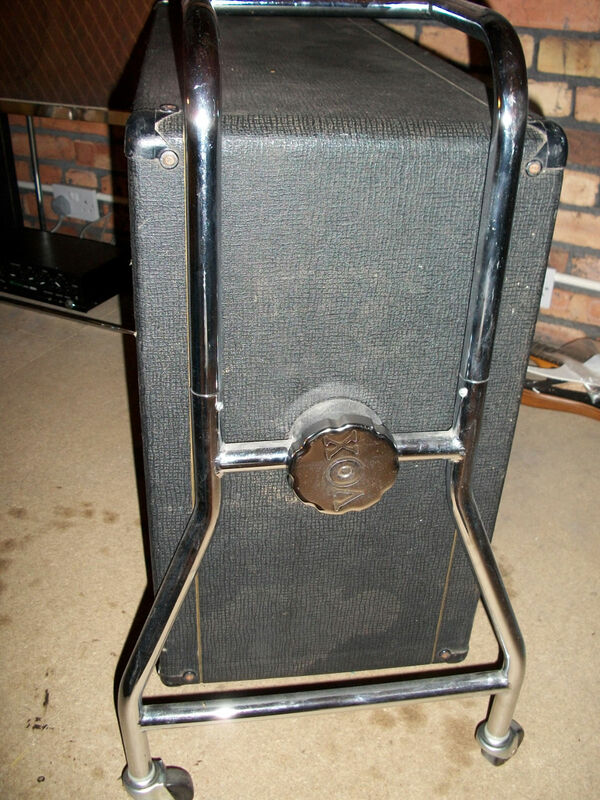 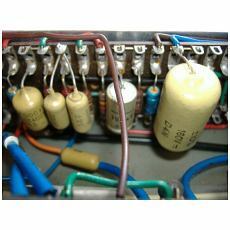 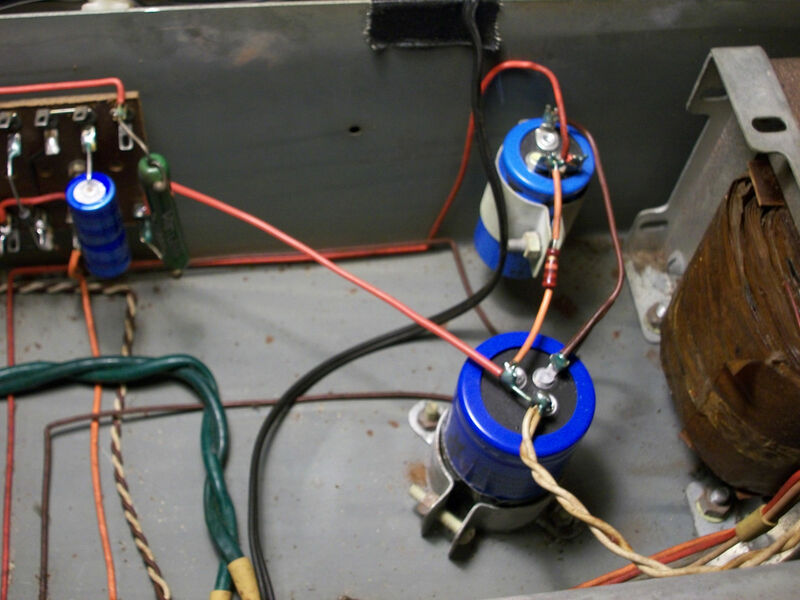 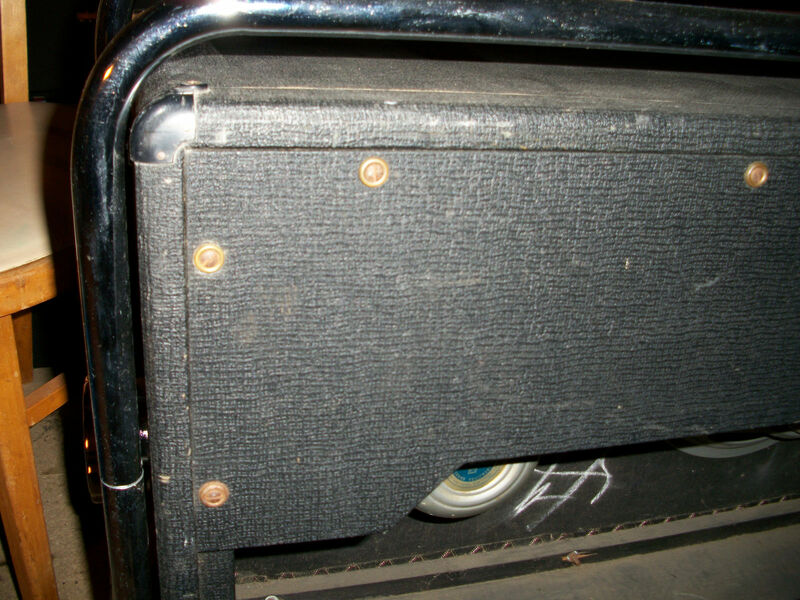 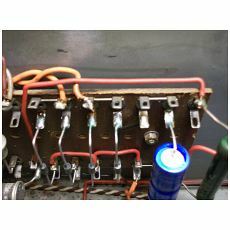 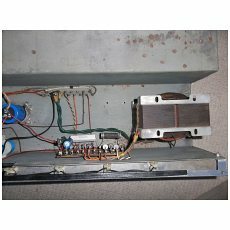 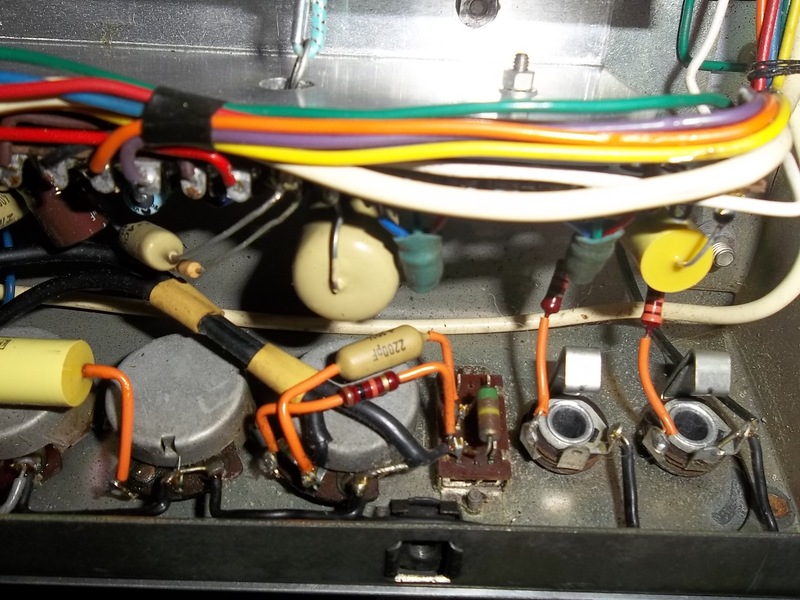 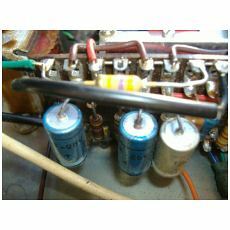 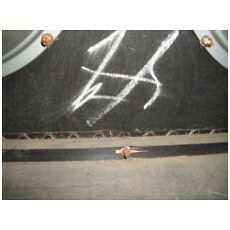 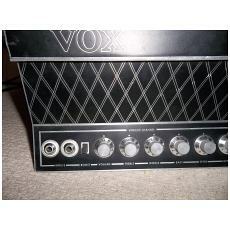 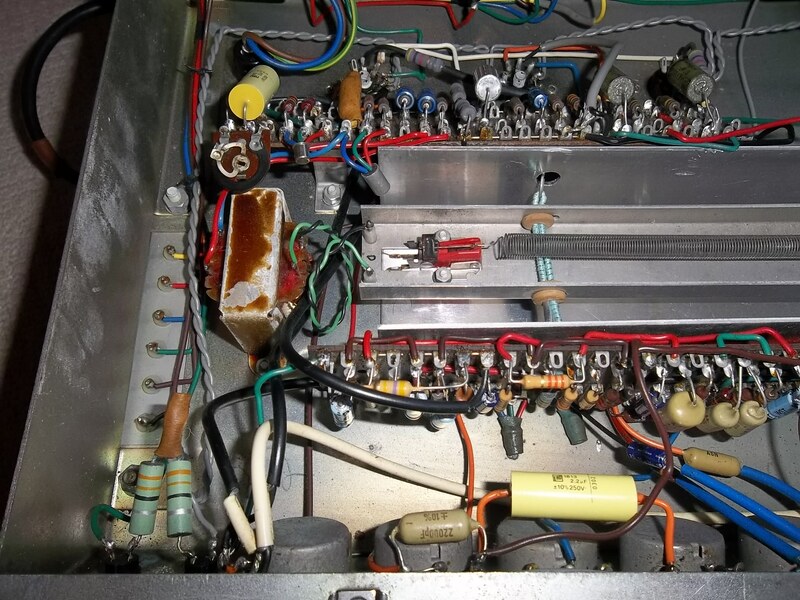 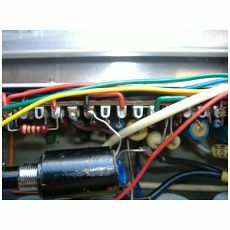 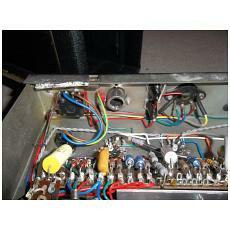 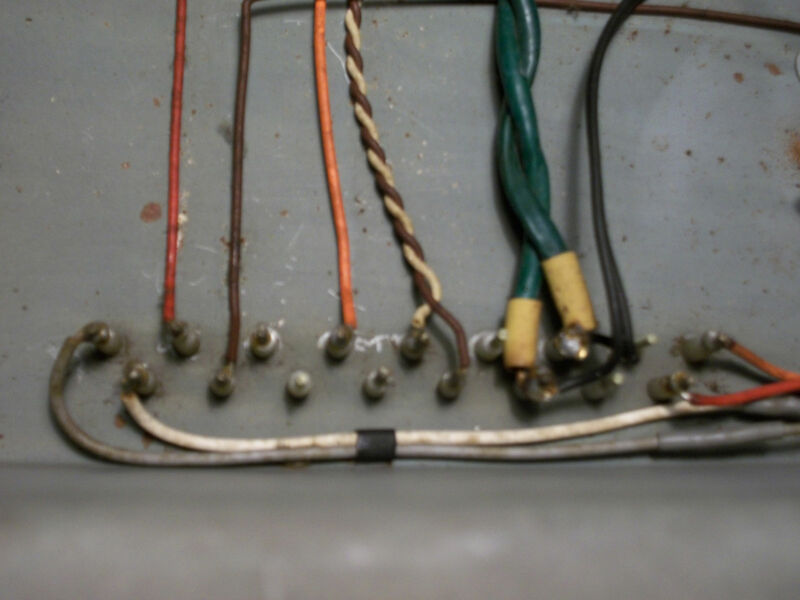 A picture page of great details of the amp. 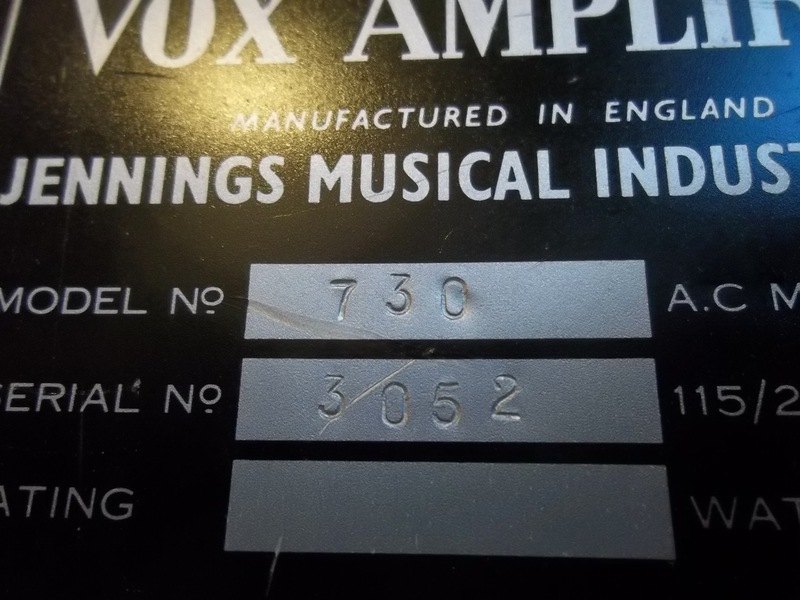 Probably produced late summer of 1966 - the latest visible date code is that of a pot - "GN" = July 1966. 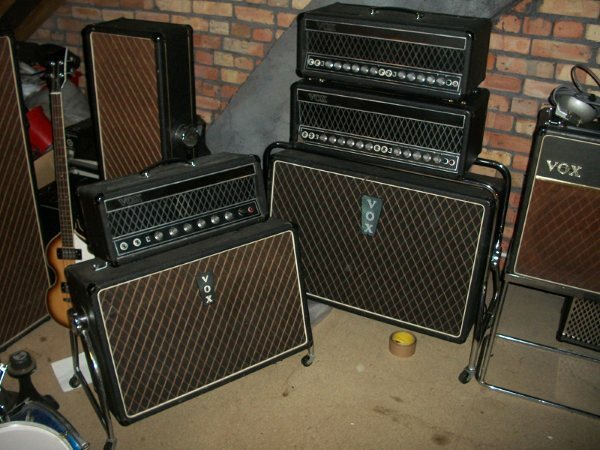 But there may be others lurking. 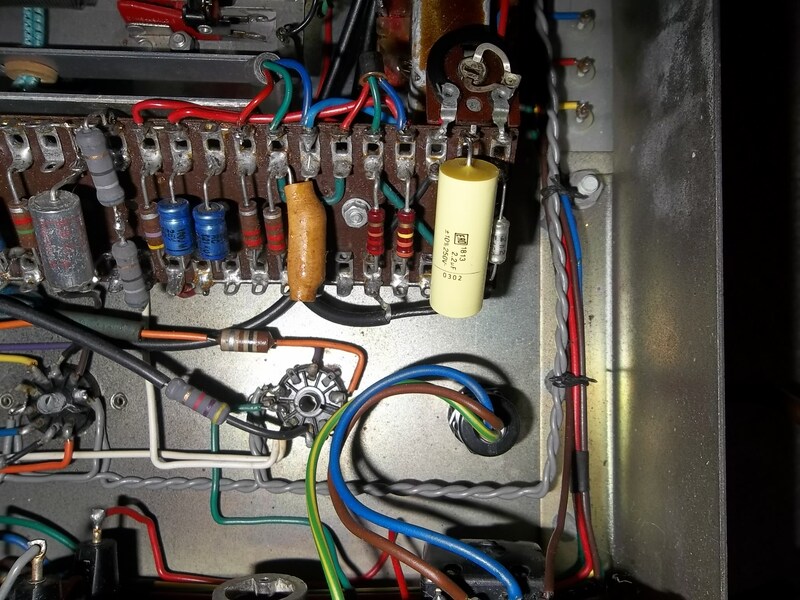 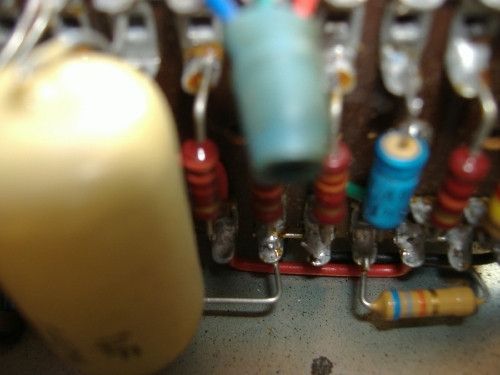 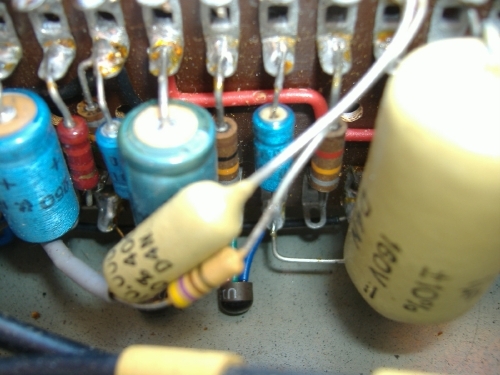 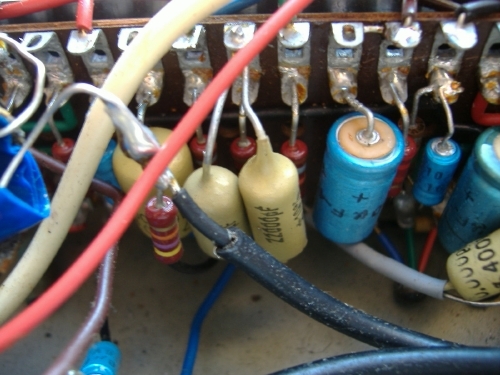 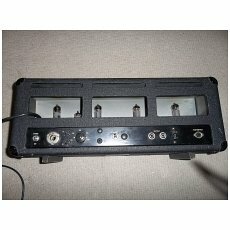 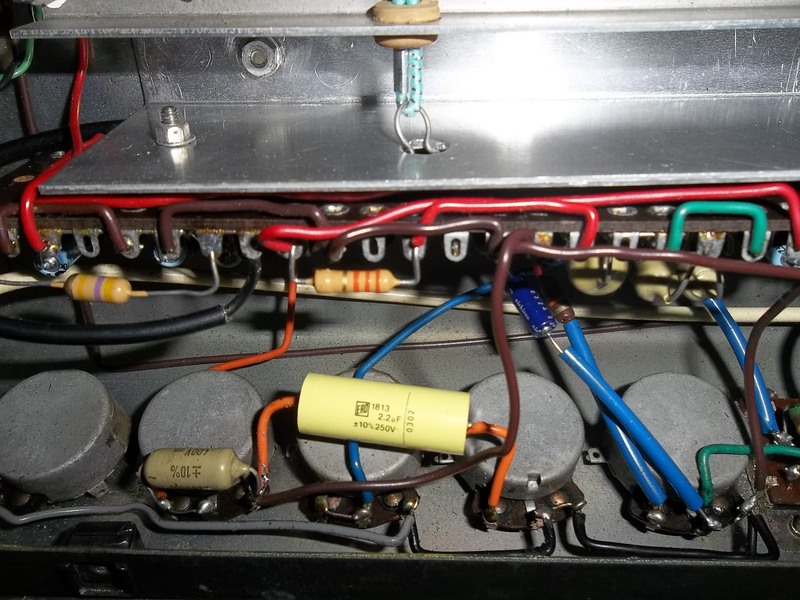 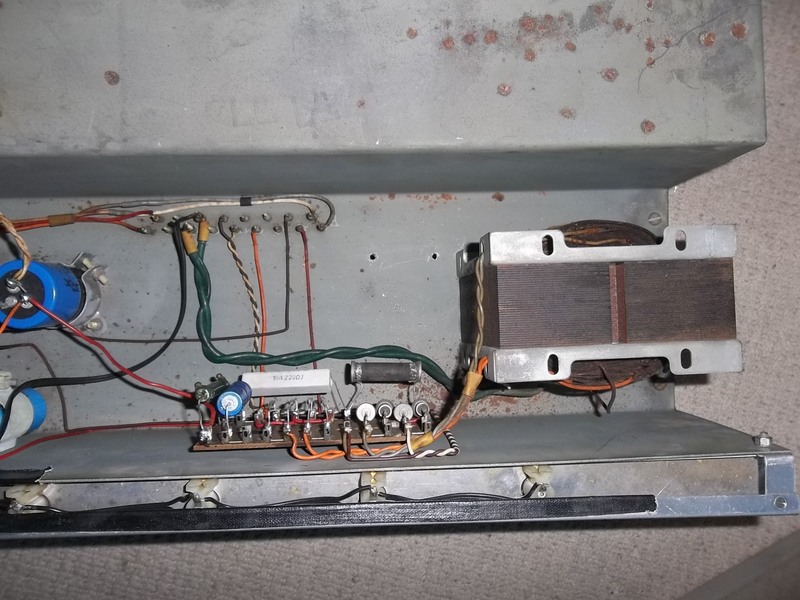 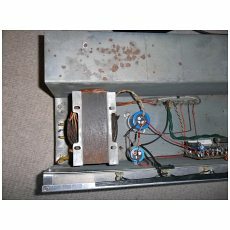 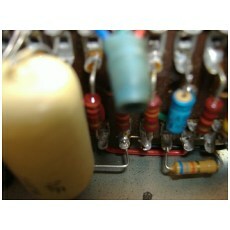 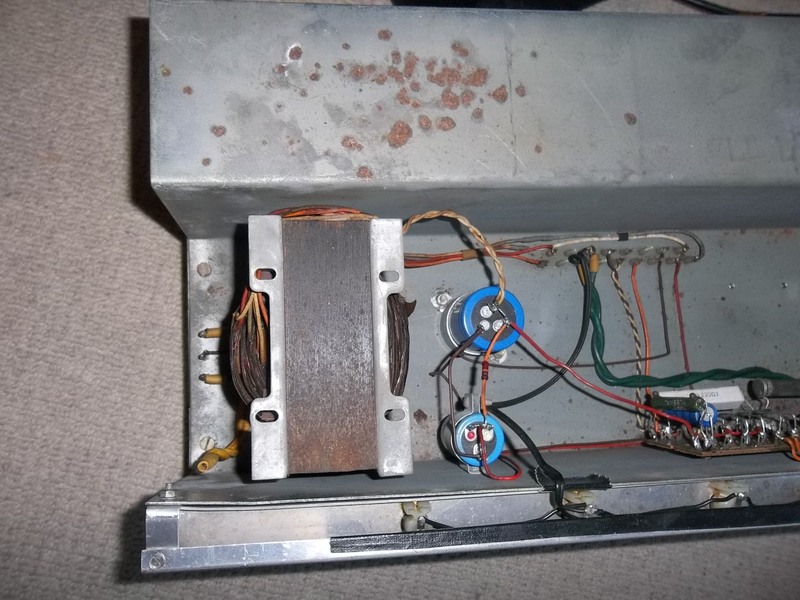 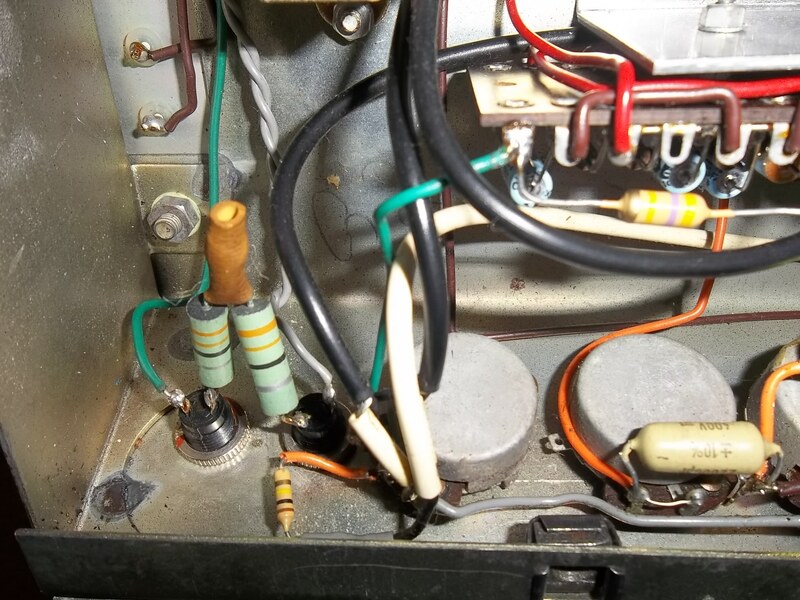 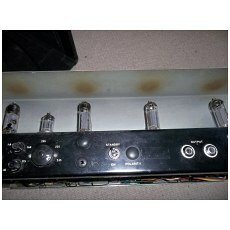 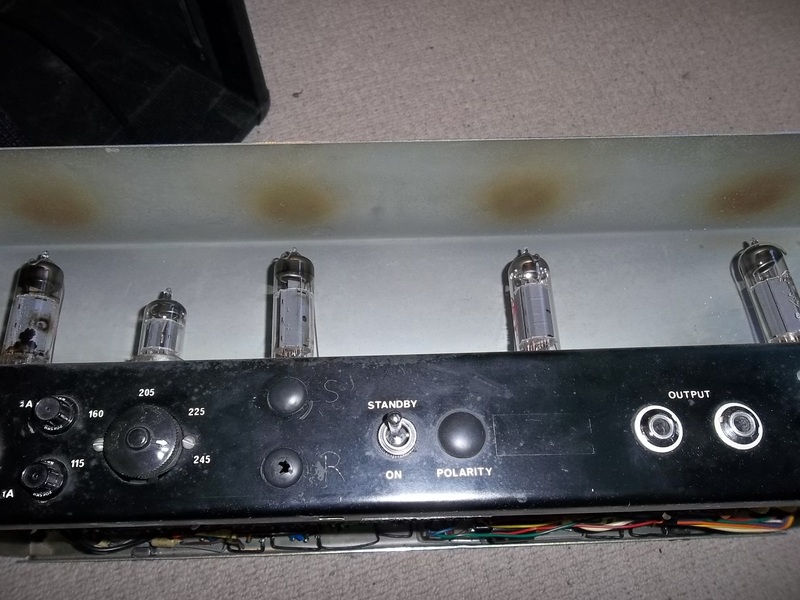 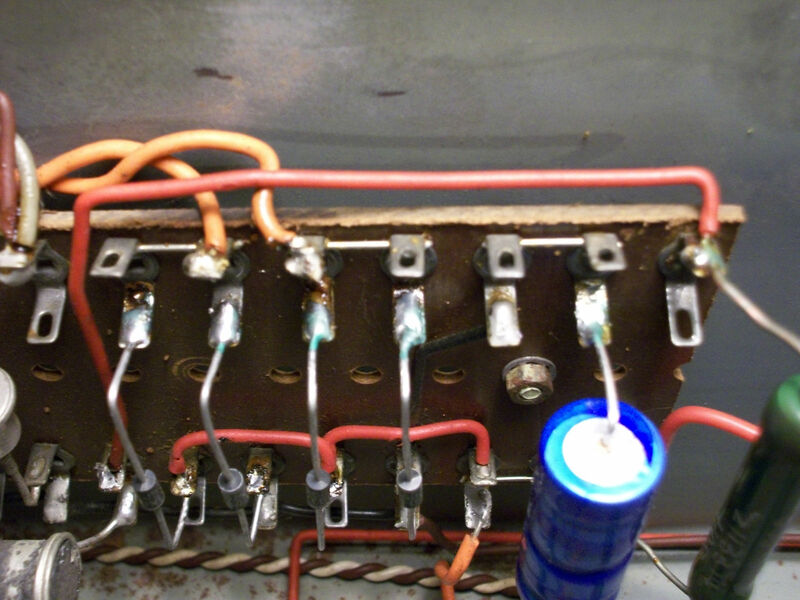 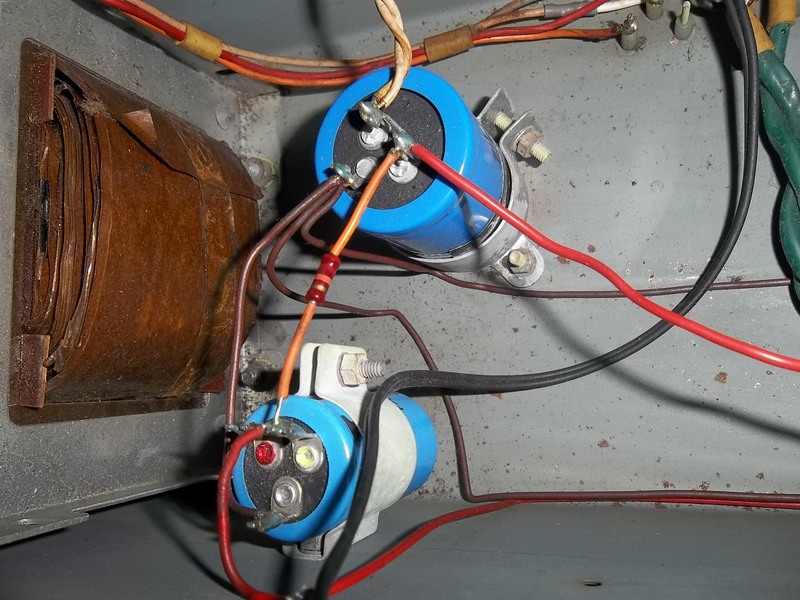 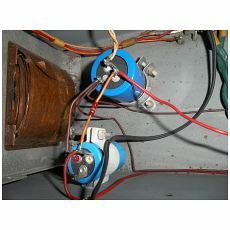 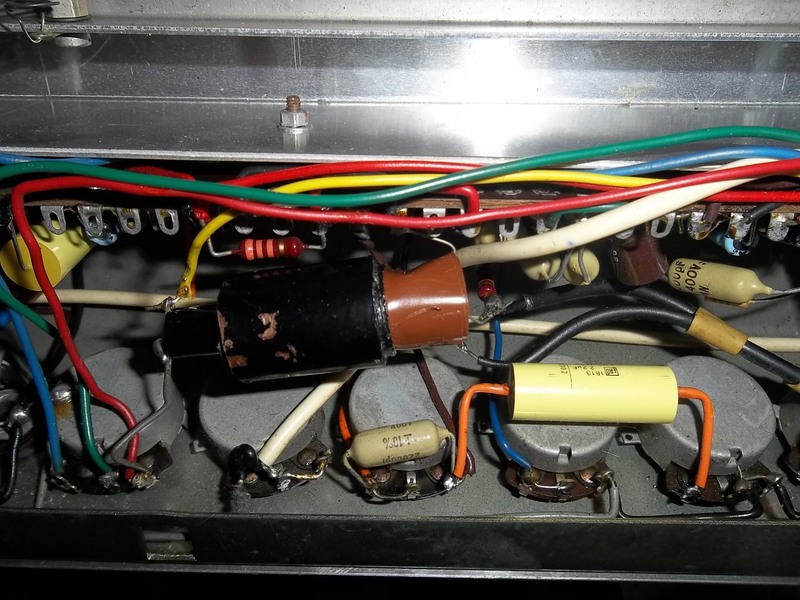 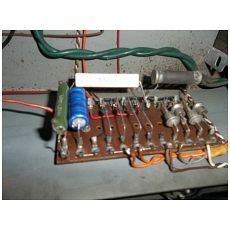 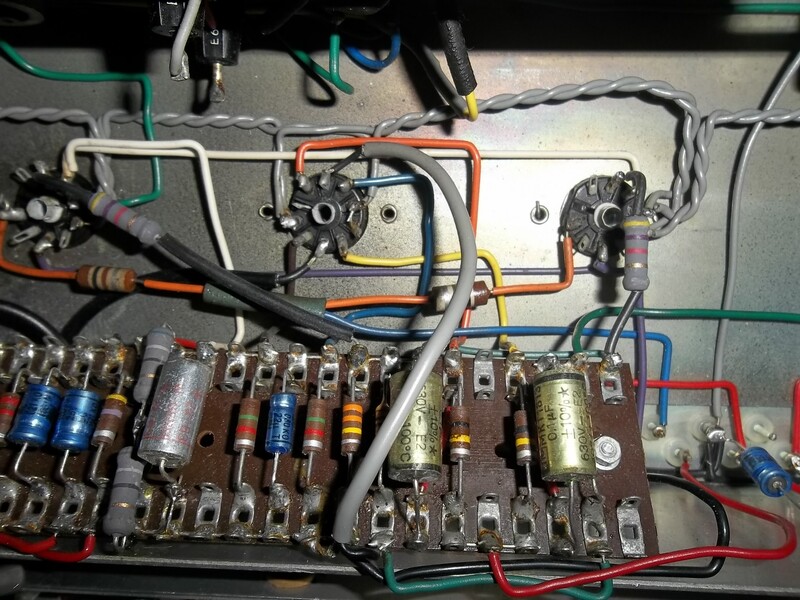 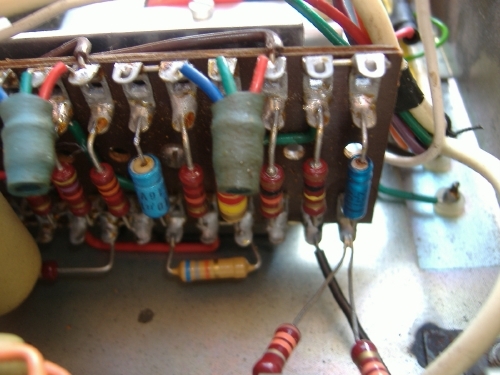 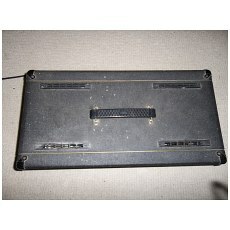 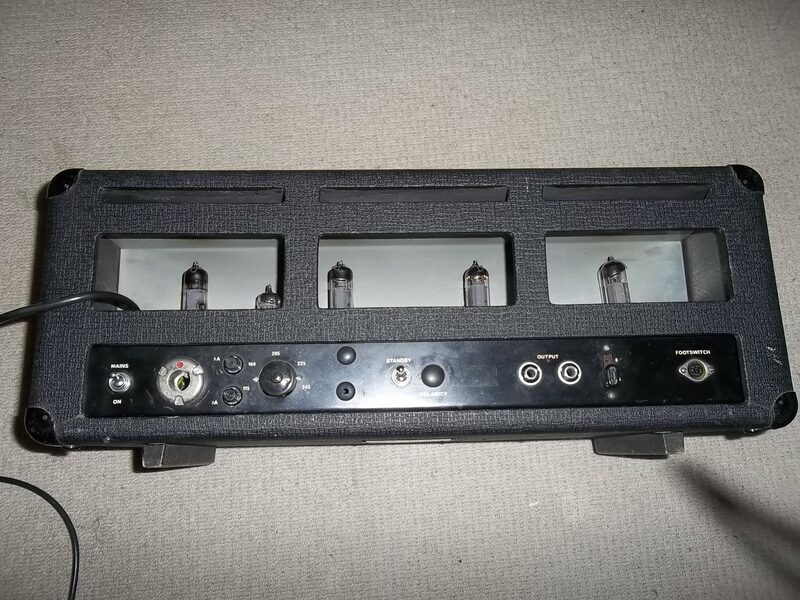 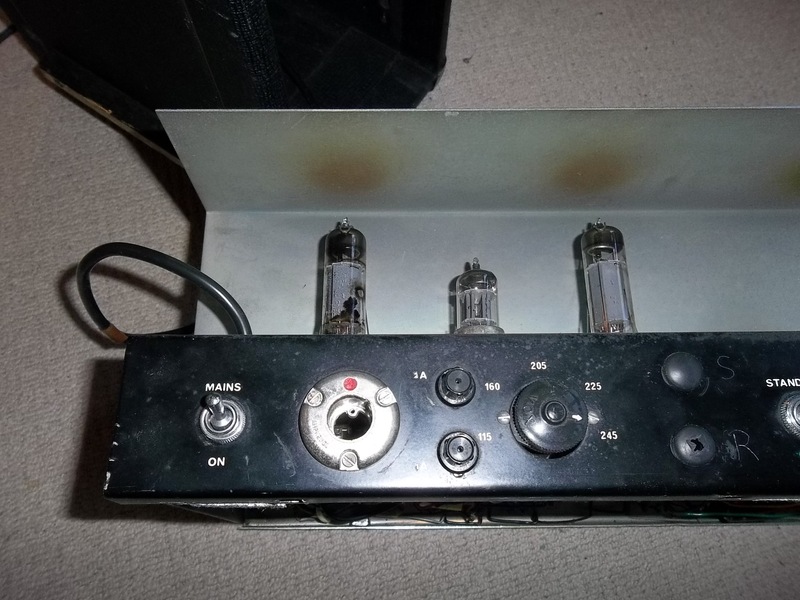 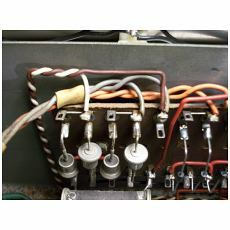 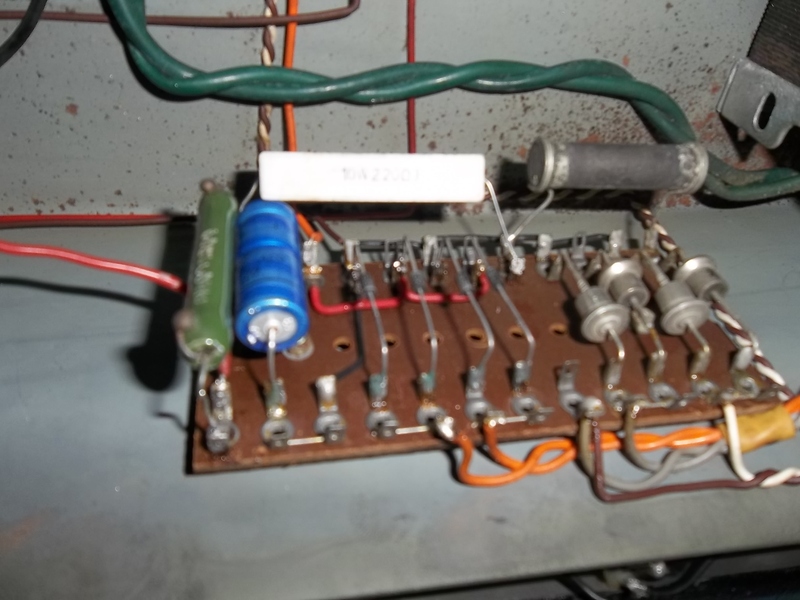 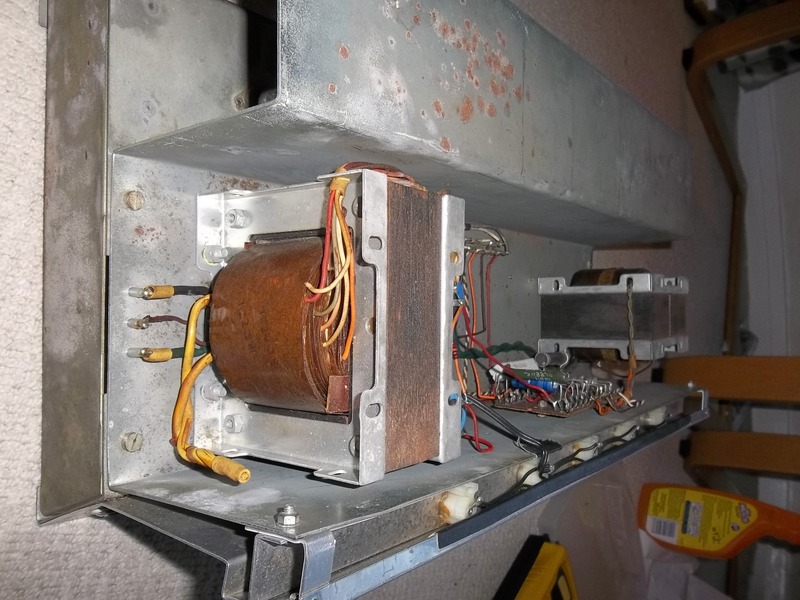 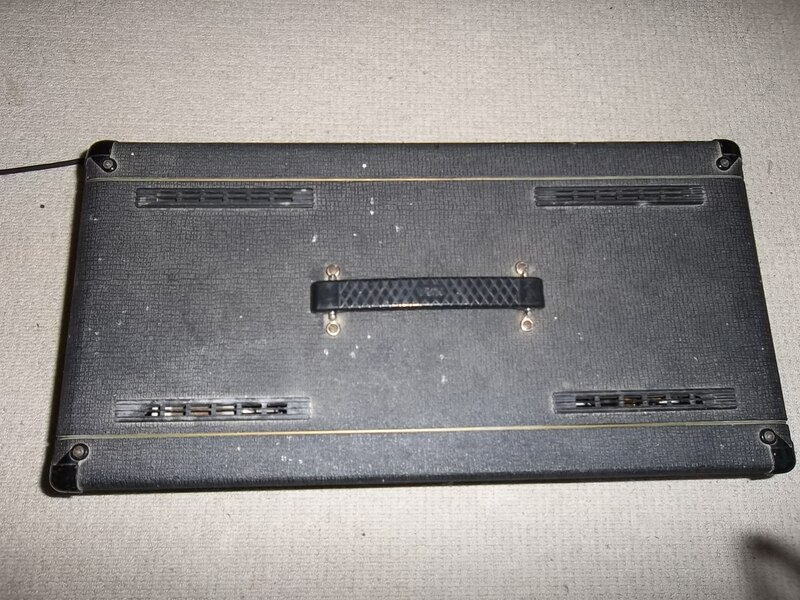 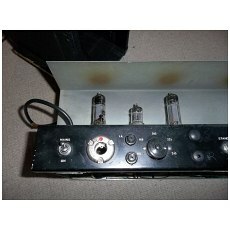 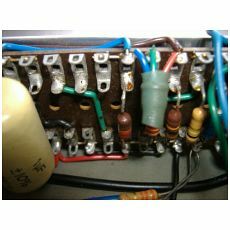 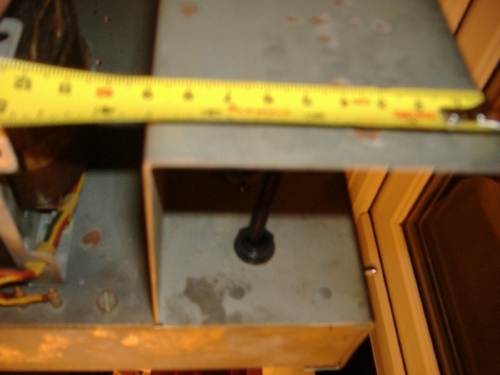 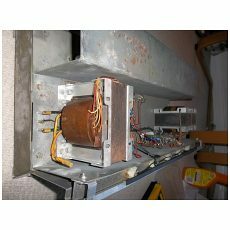 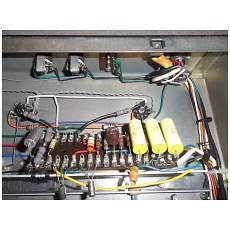 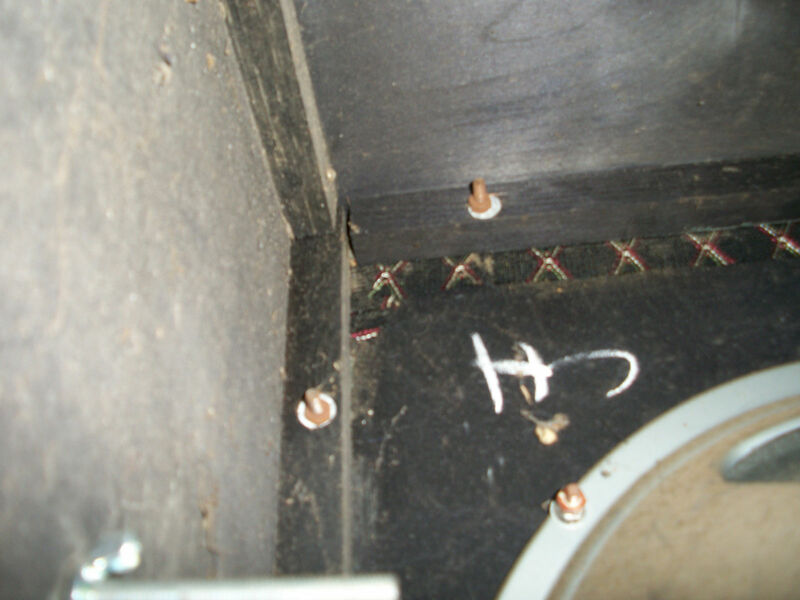 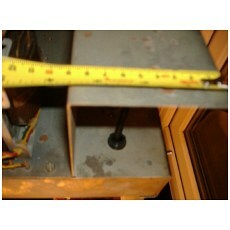 The value of the reverb mixer resistor is 470K. 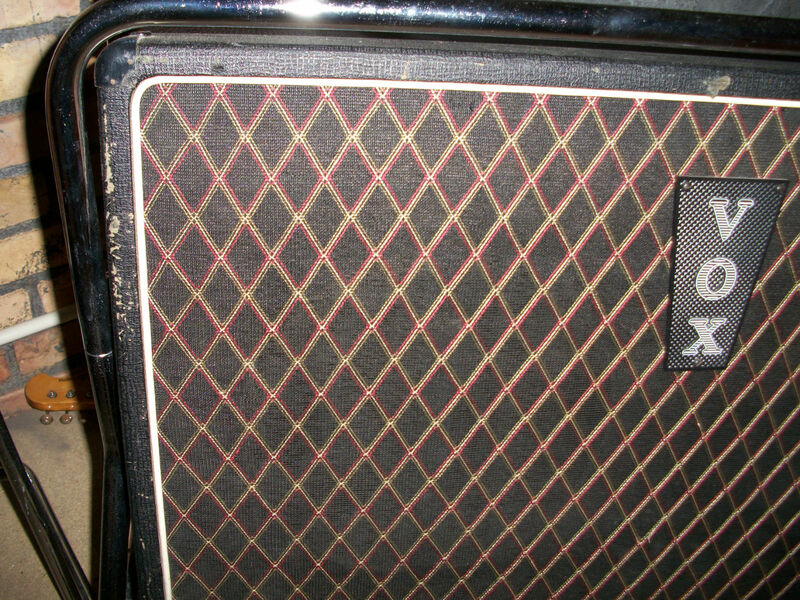 Formerly in the UK, now in South America. 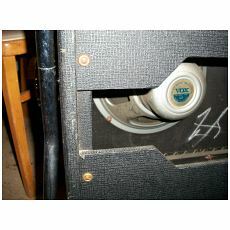 Thanks to Steve for the pictures.